Karen A. (Kelliher) Barrows, 67, passed away peacefully in the loving company of her family on Sunday, March 24. Raised in West Springfield, MA she was the daughter of the late John R. and Anna May (Corcoran) Kelliher. A graduate of St. Mary’s Parish School in Westfield, MA, she attended the College of St. Joseph in Rutland, VT and Westfield State University. When asked how she would like to be remembered, Karen talked passionately about her love of children. First and foremost, she loved her daughters who she raised to be strong, fearless and independent women. She adored her dutiful sons-in-law who lovingly cared for her every day. She delighted in her remarkable granddaughters and their every accomplishment. Her love of children led her to public service where she faithfully served three terms on the West Springfield School Committee which culminated in her election as Board Chair. 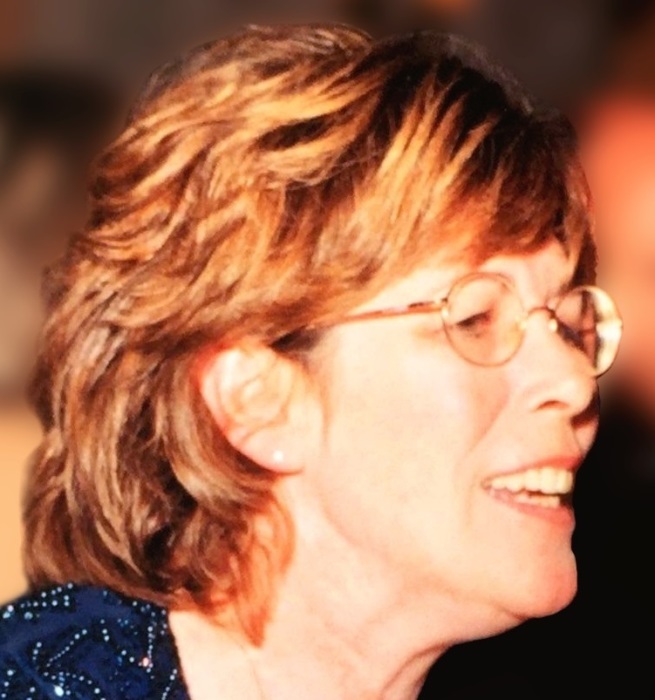 She then went on to work in the West Springfield Public School System where she selflessly nurtured the hearts and minds of countless children and made incredible friends. Karen leaves behind her four loving daughters and their spouses: Katie Chipps and her husband Allan; Traci Barrows; Erin Garrity and her husband Michael; and Megan Tsantinis and her husband Nicholas. Karen was devoted to her three beautiful granddaughters: Emma Grace and Charlotte Anne Chipps and Eleanor Mae Garrity. She leaves behind her former spouse and best friend Dana R. Barrows whom she loved and cherished spending time with up until her final hours. Their mutual love and devotion to one another set a unique example for all. She is predeceased by her aunt and dear friend Regina “Genie” Newman and her husband Richard. She is survived by her sister Eileen Gagliano and her husband Gregory; her brothers John R. Kelliher, Jr. and his wife Elizabeth; and Michael Kelliher and his wife Susan. Karen cherished being an “Auntie” and leaves behind many beloved nieces and nephews in the Kelliher and Barrows families. She was incredibly blessed with a large and loving extended family including her many “adopted” children and most especially her dear friends Peter and Margaret “Peggy” Robillard and their family. The family would like to extend a very special thank you to Madelyn Presz who helped Karen and her family find peace and comfort in her final days. A celebration of Karen’s life will take place Friday, March 29 at 10:30 AM at TOOMEY-O’BRIEN FUNERAL HOME, 1043 Westfield St., W. Spfld. Burial will follow at St. Thomas Cemetery. Calling hours are Thursday, March 28th, 4-7 PM at Toomey-O’Brien Funeral Home. In lieu of flowers, memorial donations may be made to the Parish Cupboard,1023 Main St, W. Spfld., MA 01089 or to the Children’s Study Home, 44 Sherman St., Spfld. MA 01109. For more information please visit www.toomeyobrien.com.